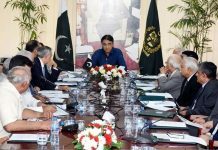 ISLAMABAD: While Finance Minister Asad Umar has announced to introduce the mini-budget on January 23, the government has yet to develop consensus among its cabinet members on the supplementary budget proposals. 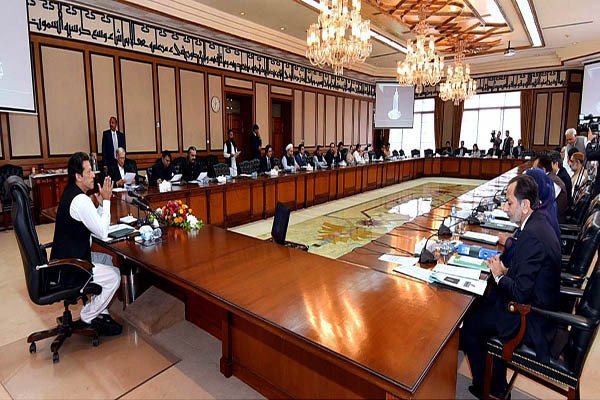 According to insiders, the members of the federal cabinet have serious reservations on a number of proposals aimed at increasing revenue and reducing expenditures through the supplementary budget. The finance ministry, sources claim, is yet to send the finance act to the ministry of law for vetting even two days ahead of the formal announcement of the supplementary budget as claimed by the finance minister. Unlike the previous government of Pakistan Muslim League Nawaz (PML-N) in which no member of the cabinet had even the courage to object to any proposals made by Ishaq Dar (former finance minister), the present government is facing differences over budget proposals, sources said. A couple of cabinet members have reportedly objected to increasing taxes/levies on petroleum products at the import stage saying that the same could further damage the ruling party politically. The finance ministry considers the proposals keeping in view the reduced oil prices in the international market. The ministry of defense, sources claim, has demanded an increase in its allocation in the mini-budget, making justifications of changes in the exchange rates. The cabinet, which is meeting regularly, is finding it difficult to increase the allocation since it is already trying to reduce expenditures. Allocations for the Public Sector Development Programme (PSDP) could further be slashed to adjust the defense budget, sources said. Adviser to PM for Commerce, Textile and Industry Production Abdul Razak Dawood, through the ministry of commerce, has proposed imposing stiff conditions on the import of used cars under various baggage schemes to reduce the import bill. However, the finance ministry is reportedly in favor of keeping the imports intact as the Federal Board of Revenue (FBR) is already facing a revenue shortfall. 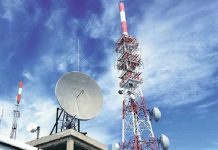 “The FBR has already suggested a downward revision of revenue target by 25 per cent keeping in view the shortfalls faced during the past six months,” said an official at the finance ministry. The FBR officials, he claims, has made it clear that under the present circumstances, it will be very difficult for it to meet the annual tax collection target of Rs4398 billion. The finance ministry is considering different tax proposals for slapping additional taxes of Rs150 to Rs160 billion in the remaining second half (Jan-June) period of the current fiscal year. Now, different proposals are under consideration to find out ways and means to bridge the shortfall in FBR’s tax collection target that had already touched more than Rs160 billion in the first six months of the ongoing fiscal year. As per the sources, the proposal of slapping 1 per cent additional custom duty has been rejected by the commerce ministry arguing that it could cause harm to the industry as their cost of doing business would escalate with the approval of major revenue spinner. The additional 1 per cent custom duty could fetch Rs80 to 85 billion. The finance ministry is also proposing to slap a tax on the use of mobiles, jack up duty on smartphones, luxury cars, tobacco, and partial withdrawal of tax incentives for the salaried and non-salaried class through the supplementary finance bill. Accord to insiders, differences are also present among the ministers over the proposals of the finance ministry. Though the government, during the previous supplementary budget introduced by the ruling party soon after taking charge of the government, had backtracked from its decision of lifting the condition of filers for the purchase of property/cars after immense criticism from the opposition party, the incumbent government is again going to lift the ban on purchase of cars and other properties for non-filers and for overseas Pakistanis as long as the growth rate of the economy is low. According to the insiders, there was a difference of opinion among the cabinet members regarding the non-filers’ issue. As per sources at the finance ministry, since Prime Minister Imran Khan has already announced his government will incorporate a three-year economic strategy in the supplementary finance bill, the finance ministry will be presenting proposals, whatever they could be, by January 23. Authorities in Finance and Revenue divisions have been making all out efforts to convince that the upcoming supplementary finance bill would be aimed at providing more incentives to the domestic and foreign investors as well as boosting up stagnant exports. According to sources, the government through the finance bill may also remove or reduce taxes/duties on remittances and soften conditions for oversees Pakistanis sending dollars through non-banking channels. The government may also roll back the income tax relief given to the salaried class by the previous government as the tax cuts have so far resulted in the government facing up to Rs25 billion in revenue collection losses. 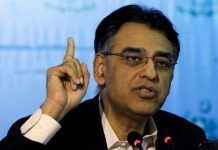 Earlier, despite the expected budgetary measures in the supplementary finance bill, Finance Minister Asad Umar rejected the impression that the mini-budget would be loaded with new taxes, arguing that it would instead focus on ease of doing business and steps to uplift trade and industrialization. As a matter of fact, five decades old baggage scheme for the import of new /used cars by the overseas pakistanis shoud be made simple that any overseas pakistani can send or bring car of certain makes, new or used one giving 10% discount on custom duty for each year to the minimum of say Rs 3 lacs for smaller size car and 5 lacs for bigger one. Aoa.suadia family visit visa fee ABI tk km q Ni hui??? ?